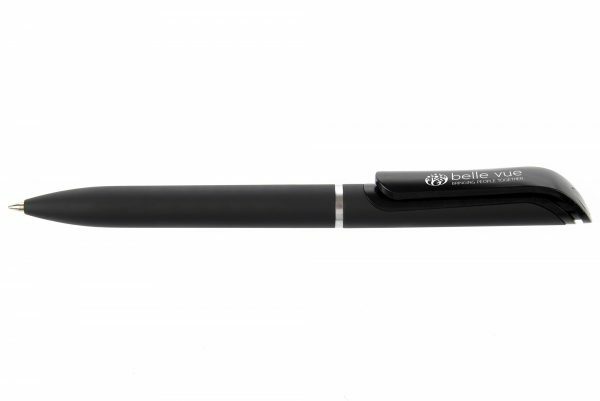 A twist action ball pen with a soft-feel barrel and gloss clip ? extreme comfort! Standard print area is to the clip.